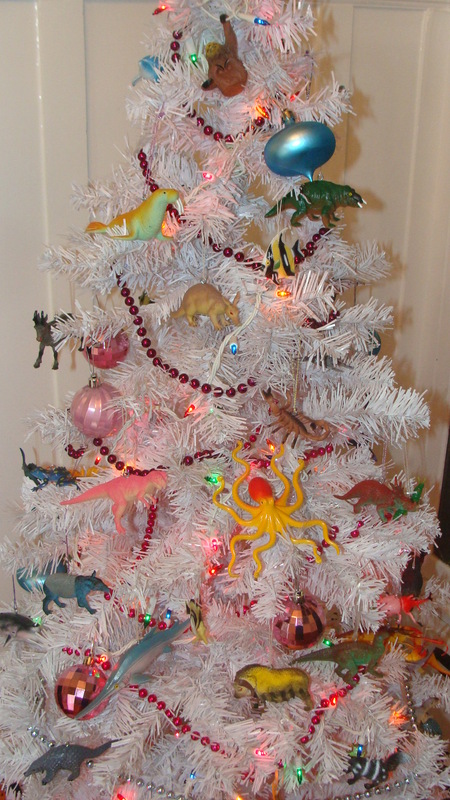 I’m sorry there was no post yesterday–I was busy trimming my holiday tree. Tree worship was a common custom in many ancient cultures from China to Egypt to the Hebrews (and it is an underlying topic of this blog). Pagan Europeans—particularly Scandinavians and Celts also venerated evergreen trees as a symbol of undying life. 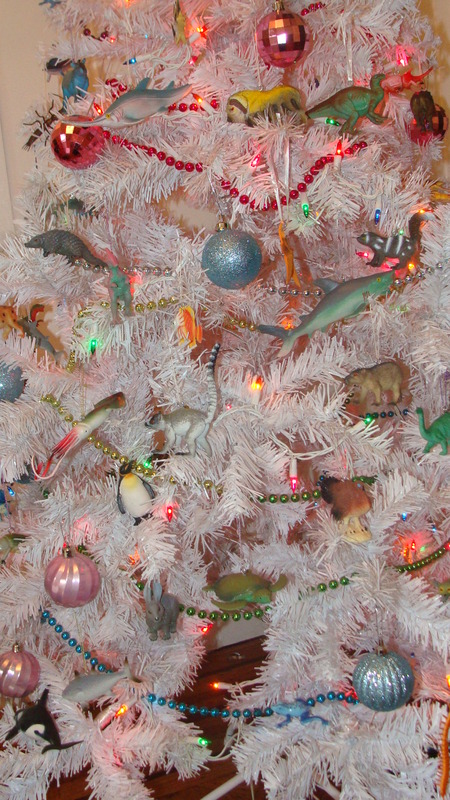 To symbolize life, I decorated my tree as a tree of life with all sorts of different animals from different epochs of life. Looking at the detail photos you will notice familiar animals from past Ferrebeekeeper posts. The mollusks are represented by the squid and the octopus. There is a pangolin, a walrus, a rabbit, and a muskox, as well as a variety of other mammals. Best of all, you will notice a tom turkey! It took a while to gather all the different toy animals and put screw eyes and string on them, but I think you will agree the results were worth it! 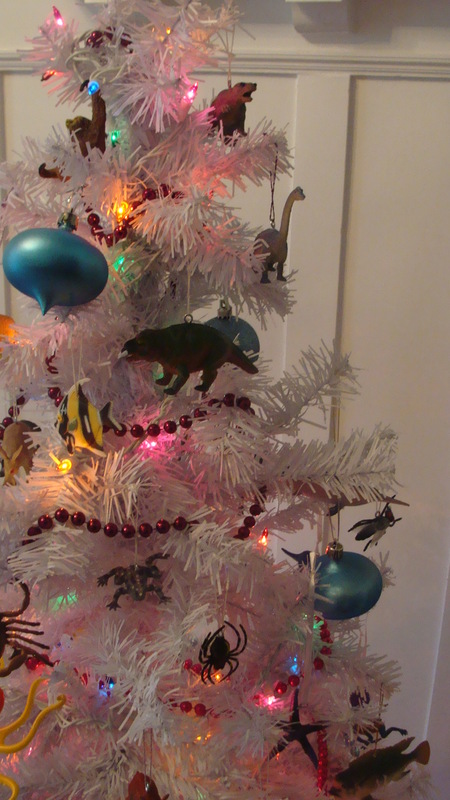 My Christmas tree actually does represent my feelings about what is sacred and numinous in our world of amazing living things. Hopefully it can get my friends and me through the dark yule/solstice season. Merry Christmas and seasons greetings to everyone out there! I hope you get the gifts you want and spend the season with the people whom you care for. 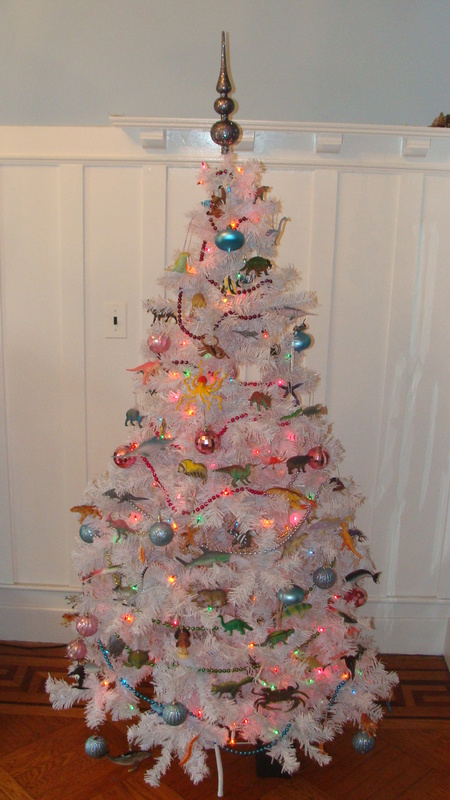 I thought a fake tree should look fake (also it was cheaper and showed off the animals better). Thanks (I think). I wish it had some sessile invertebrates on there. Me, too. Pangolins are never happy without the company of sessile invertebrates. This tree just made my day.